An old man wants to honor a promise made to his dead wife. The story of an old man and his grand-daughter, who walk together through China with a bird in a cage. When he realizes time is going by too fast, Zhigen, an old man, leaves Beijing to return to the village of his birth to honor a promise made to his dead wife: the he would free the bird he has kept in a cage for 18 years, his only companion in his old age. 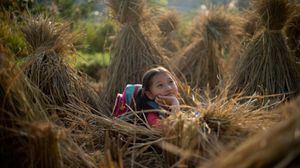 Thanks to a combination of circumstances, he takes along his granddaughter Renxing as he travels across the Chinese countryside. And so the old man and the city girl go on a journey through nature and memory… Beijing, the present day. For the past 18 years the widowed Zhu Zhigen (Li Baotian) has been living in the capital with only an ageing nightingale for company; each day he walks with it to the local park. His son, successful architect Chongyi (Eric Qin), hasn't talked to him for four years and is about to be divorced by his wife, Qianying (Li Xiaoran), an equally busy executive. 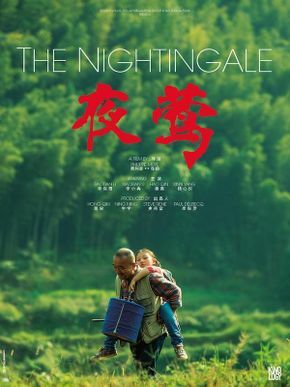 Zhigen decides it's time to visit his home village in Guangxi province, southern China, with the nightingale he originally brought from there. 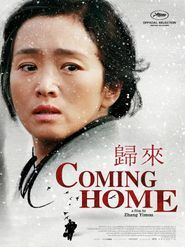 With Chongyi away on a business trip to Hong Kong and Tokyo, and Qianying due to go to Paris, Zhigen offers to take along their young daughter, Renxing (Yang Xinyi), as their maid/nanny is not available. The spoiled Renxing, who likes her urban comforts, objects; but she has no choice when Qianying agrees. 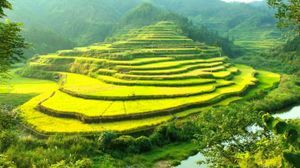 Arriving by train in Guilin after a long journey, the pair accidentally take the wrong bus to Yangshuo and end up spending the night in a farmer's house. Next day they start walking back to Guilin but get lost in the forest, where they spend the next night in a cave. Gradually, Renxing starts to enjoy the non-urban life and to bond with her grandfather. But then Chongyi returns early from his business trip and hears what has happened.